The challenge of this course is to try to explain the basics of photography without using technical words. I will give also as many visual examples possible to grasp the different technical aspects. Excellent - I've just completed the videos and this app has been excellent. Well presented, no over complicated instructions' just practical examples.This improved my photography skills and understanding significantly.Buy it. - Finding a correct exposure the AV mode. - Finding a correct exposure the TV mode. - What about ISO ? - The manual mode, the pro mode. 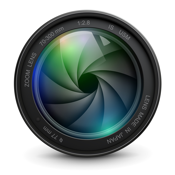 - The basics of lens and tips. - Raw vs JPG ? - Pratical example : Day light landscapes. - Pratical example : Golden hour landscapes. - Pratical example : Night landscapes and night portraits. - An introduction to retouching using Lightroom 4.